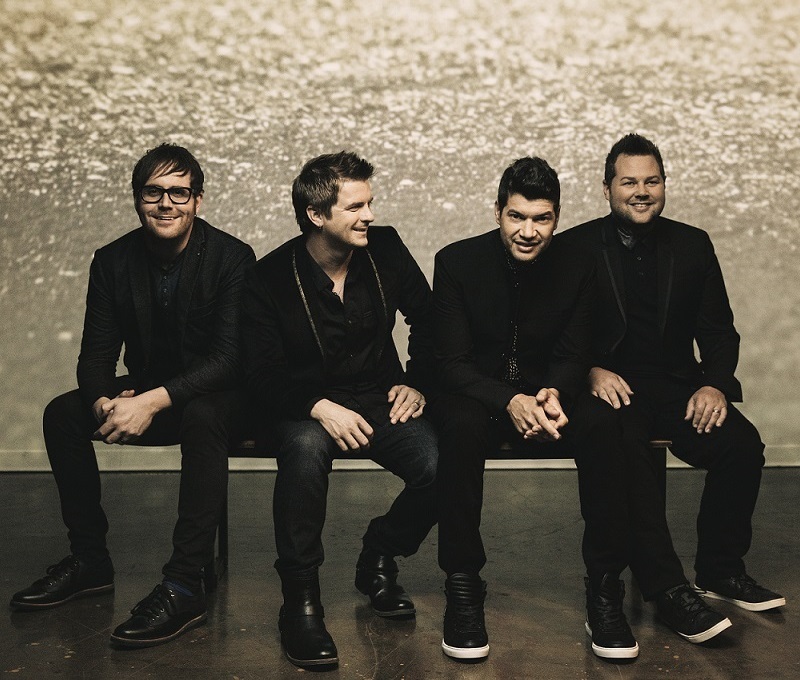 The Afters are a Christian pop rock band founded by Joshua Havens and Matt Fuqua. They first worked together in a Starbucks coffee shop in Texas, where they played for customers, before deciding to form a band. They added Brad Wigg and Marc Dodd, who were also employed at the same Starbucks, under their original name of Blisse. The band changed its name after discovering that another "Blisse" already existed. Settling on "The Afters", they continued to play local clubs in the Dallas area. Their first major label album, I Wish We All Could Win, was released on February, 2005. The first single from the album was "Beautiful Love", written by Josh Havens about a time when his wife was abroad doing humanitarian aid. Their second album, Never Going Back to OK, was released in February, 2008. The first single from the album, the title track, reached No. 1 and was the most played song on U.S. Christian radio in 2008. Their third album, called Light Up the Sky, was released in September, 2010. The album's first single, the title track, reached No. 1 on Billboard's Christian CHR radio. The Afters next album, Life Is Beautiful, was released in April 2013, and their single, "Every Good Thing", reached No. 2 on the US Christian music charts. The title track was part of the soundtrack for the movie “October Baby”. Their latest album, Live On Forever, was released in September 2016. It was birthed in a season of tragedy for the band. The single “Battles” was the sixth most played song on Christian radio in Australia last year according to TCM charts.